A collaboration between history professors at Western University and the University of Wisconsin-La Crosse will use audio files tied to specific locations to tell personal histories of everyday Londoners from long ago. Imagine being able to walk through a downtown London neighbourhood and, at the click of a link on your phone, be able to hear a first-person story about a former slave who 150 years ago lived at the spot where you stand. Soon Londoners will be able experience local history in this way thanks to a collaboration between Western University and the University of Wisconsin-La Crosse. 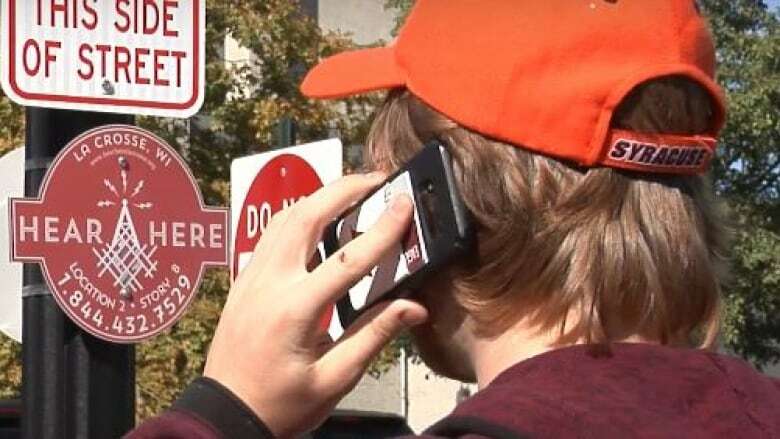 The project is called Hear Here London and starting soon, notices about the project will begin to pop up on parking signs in various downtown London neighbourhoods. At each location, signs will tell visitors how to access audio files that tell a personal history tied to that specific spot. "These stories are not recorded in any local history book," said Michelle Hamilton, an associate professor of history at Western and one of the two professors co-ordinating the project. "These are the voices of everyday people who lived in London." Hamilton fully admits the idea is being adopted from La Crosse, Wis., where a Here Hear project has been up and running since 2015. Ariel Beaujot, an associate professor of history at the University of Wisconsin-La Crosse oversaw a similar project there. Beaujot is doing a sabbatical at Western and Hamilton liked the concept so much, she worked with Beaujot to create a London version. Beaujot, a Canadian, was inspired to start Hear Here in La Crosse after learning about a similar Toronto walking history tour there called Murmur, which has since shut down. London's Hear Hear involves a collaboration of 10 students from Western's masters in public history program. They've helped gather the stories from various sources. In a few cases, they used audio from a London Public Library oral history project that gathered interviews with London seniors back in the 1980s. To tell other stories, they used first-person accounts from books and hired voice actors to bring the stories to life. The City of London is also playing a role by providing the street signs that will be placed at about 40 locations around downtown. The stories — about 70 in total — will be posted on the London Hear Here website this week. The site includes a map so people can create their own walking tours. Hamilton said she wanted to make the stories as accessible as possible. Hearing them won't even require a mobile phone or computer. Audio files of the stories can be accessed on the website or by calling 519-672-4327. The stories are a rich mix. One tells the story of Margaret Henderson, a fugitive slave who fled the United States prior to the Civil War. She lived at 198 Clarence St. in 1868. Through a voice actor, Henderson recalls seeing a slave struck by her master with a scrubbing brush. The man died the next day. The master's punishment was to promise not to lay his hand on a servant ever again. "I like liberty," Henderson says of her home in London. Like others in the project, Henderson's story comes from Benjamin Drew's 1856 book The Refugee: Narratives of Fugitive Slaves in Canada. In another story, Dave Moczulski recalls as a child seeing Poles in London struggle to get food, clothing and other items to relatives who suffered during the German occupation in the Second World War. Moczulski recalls how relatives would slip U.S. dollars into salt and pepper shakers as a way to get them past inspectors. Information about accessing that story will be posted outside Czestochowa Polish Catholic Church at 419 Hill St. In another story, Harold Westhead describes having to clean out fermentation vats by hand during a 30-year career at London's Labatt Brewery that started in the 1930s. 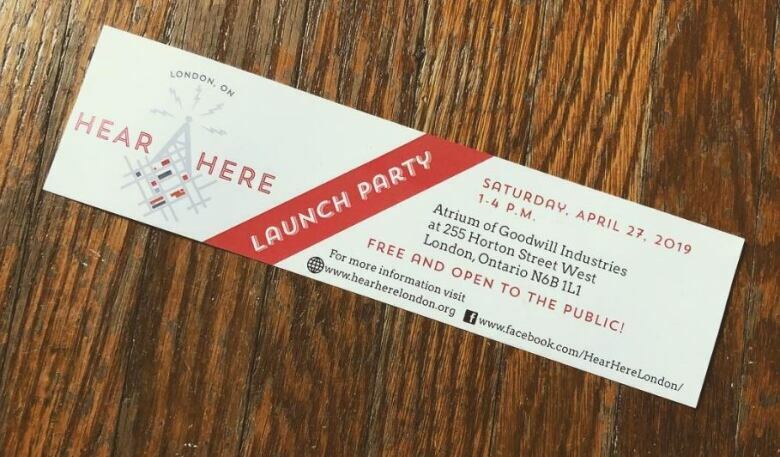 Signs at the story spots will be going up this week ahead of the official launch of Hear Here London on Saturday, April 27, at the Goodwill Donation Centre at 255 Horton St. In the meantime, curious Londoners can check out some of the stories already posted at the Hear Here Now website. Londoners can also submit their stories for posting on the website.